Xiao, R., Lew, G., Marsanico, J., Hariharan, D., Hudson, S., and Harrison, C. 2014. 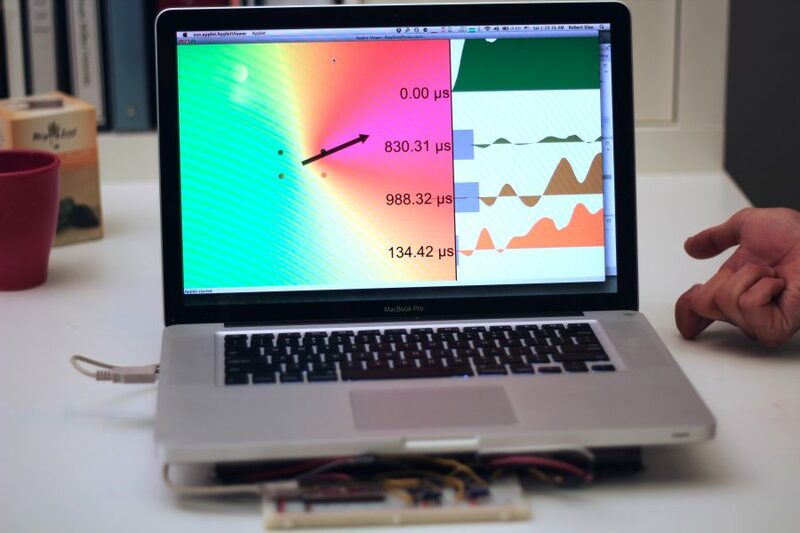 Toffee: Enabling Ad Hoc, Around-Device Interaction with Acoustic Time-of-Arrival Correlation. In Proceedings of the 16th International Conference on Human-Computer Interaction with Mobile Devices and Services (Toronto, Canada, September 23 – 26, 2014). MobileHCI ’14. ACM, New York, NY. 67-76.